Three Plaid Farmers: What's With the Name, Three Plaid? What's With the Name, Three Plaid? We get asked this question a lot, so we thought we'd write an official explanation. We started this dream of ours as a team of three--we were literally three plaid-donning farmers who met on a local farm, shared convictions, and joined forces to create our own small farm. 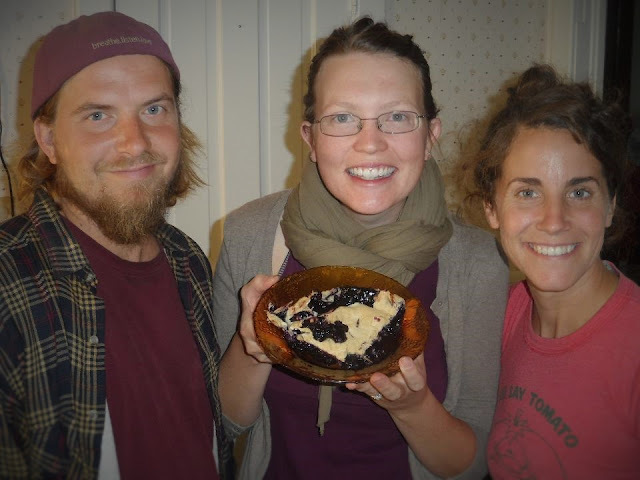 We remained a team of three for the 2012 and 2013 seasons, after which our Third Plaid Farmer, Katie Palomares (pictured in the middle) moved out of state with her husband and fellow friend/local farmer, Carlos Palomares, to pursue an exciting opportunity. The two moved back and started their own farm in 2015, Mighty Greens, located in nearby Elburn! Check out the Friends tab (coming soon!) to learn more about their farm. Each one of us laid the foundation of Three Plaid Farmers, and all three of us contributed to the farm it is today. Therefore, the farm name will always reflect that.